"When I humbly contemplate the 'going forth' aspect of Amida’s merit transference, I realize that there are great practice and great faith. The great practice is to call the Name of the Tathagata of Unhindered Light (Amida Buddha). This practice contains all good and roots of virtue, and is perfectly accomplished and most eficacious in bringing about liberation. It is the treasure-sea of merits of true suchness, ultimate reality. For this reason, it is called great practice. 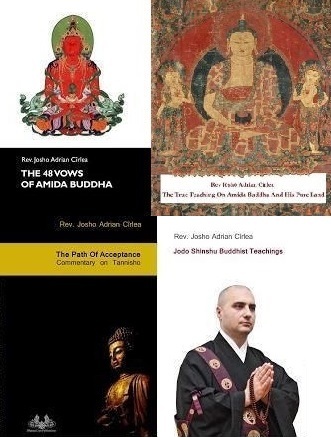 May I not attain perfect Enlightenment.…'"
"What is more, our Buddha Amida encompasses beings with His Name. And so, as we hear it with the ears and recite it with the lips, boundless exalted merits enter into our hearts and become the seeds of Buddhahood forever; they instantaneously remove heavy karmic evil that would entail transmigration for a hundred million kalpas, thereby making us realize highest Enlightenment. We truly know that the Name possesses much merit, not little good. 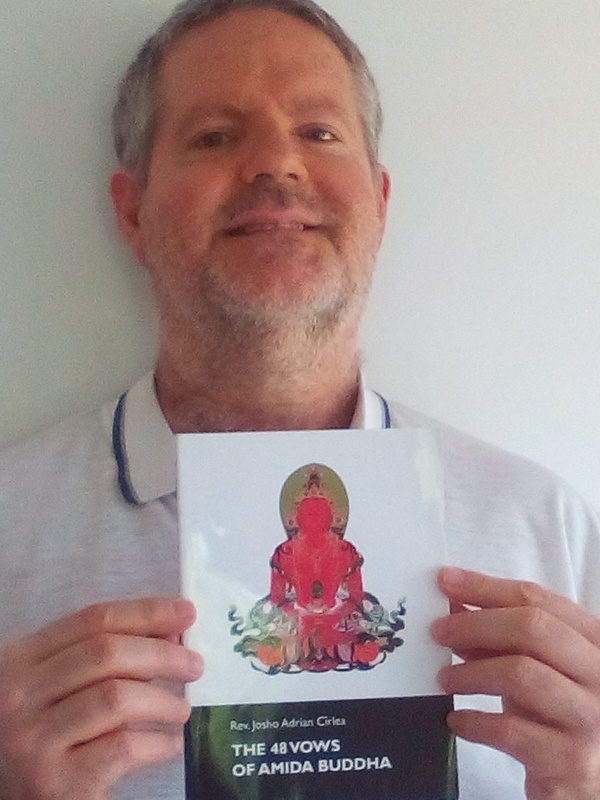 "The great practice is to call the Name of the Tathagata of Unhindered Light (Amida Buddha)". 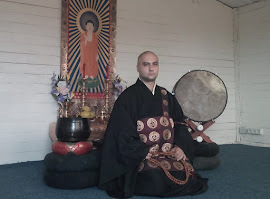 "The nembutsu, for its practicers, is not a practice or a good act. Since it is not preformed out of one's own designs, it is not a practice. Since it is not good done through one's own calculation, it is not a good act. Because it arises wholly from Other Power and is free of self-power, for the practicer, it is not a practice or a good act" (Tannisho, chapter 8). Nembutsu is indeed something we say with our lips, I mean, we do this action of saying "Namo Amida Butsu" often or seldom, so at the conventional level we may call it the practice of saying the Name. But at the deepest level, it is not really our practice. We can easily realize that the Name is not just a mere name, because if we say, for example, our own names or the name of any person, we cannot attain birth in the Pure Land through it. So, what is the difference between saying any name and the Name of Amida? It is the power invested in these names - that is, no power in our names, and an infinite Power in the Name of Amida. No matter how much concentration we use when we say our names, we cannot attain birth in the Pure Land. Contrary to this, even if we say the Name of Amida once or ten times, and even if we are not in a concentrated state of mind when we say it, we still attain birth there! This is exactly why we cannot really state that Nembutsu or saying Amida's Name, is our practice. "We now clearly know that the Nembutsu is not a self-power practice performed by ordinary people or sages; hence, it is called “practice not to be transferred [toward the Buddha]." His life for their sake. He embraced and guided all, without exception, with the six perfections of compassion and wisdom. 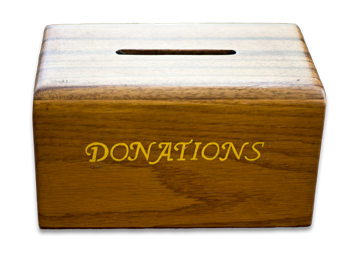 He never failed to respond to the need of the people by giving away His possessions and His own self. 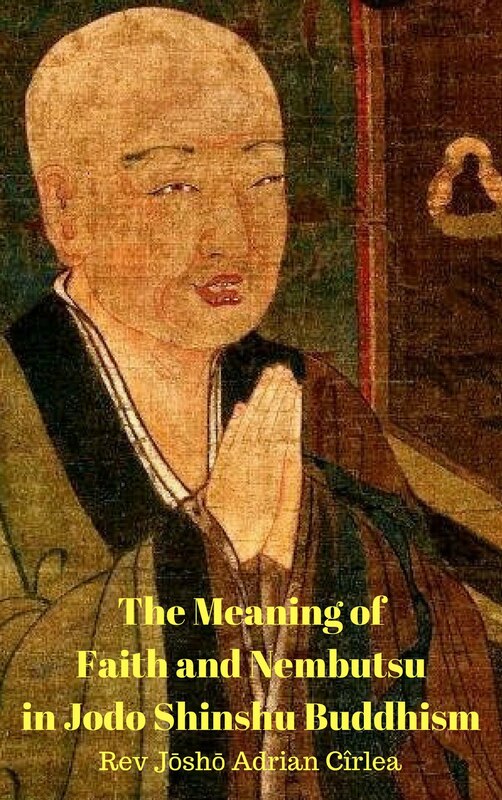 When conditions matured, His practices were fulfilled and His virtues were perfected; and thus, He all at once perfectly realized the three Buddha bodies, and the myriad merits manifest themselves in the four characters (A-mi-da-butsu).
" It is the treasure-sea of merits of true suchness, ultimate reality. For this reason, it is called great practice". "The ten repetitions of the Name arise from the unsurpassed faith by taking as object the Name of Amida Tathagata of a glorious body of skillful means that comprises immeasurable merits that are true and pure". The Name is like the most powerful and safest plane which can take you to your destination. Amida invites all sentient beings to come aboard that plane, and some do indeed come with great faith in the constructor of the plane and pilot. Can we say that the plane is able to fly and take us to the destination because we come aboard and we fly with it? Does the plane flies because of us? This would be simmilar with saying that Nembutsu is our own practice. Or is the plane flying and will certainly reach its destination because it was made by the greatest constructor in the world and is flied by the best pilot? The common sense truth that the plane flies because of the genius of the costructor and pilot, and not because of us, passengers, is the same with saying that the Nembutsu is not our own practice, even if we say it with our lips. Also, there is a very important ingredient which transforms a simple saying of the Name into the true Nembutsu. 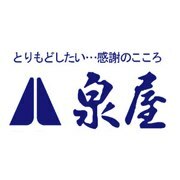 This is faith (shinjin). To say the Nembutsu without faith in Amida Buddha is like using His Name as your own practice. It means to think that Nembutsu works because of you ( like the better you recite it or the more concentrated you are, the more chances you have to be born in the Pure Land, etc), and not because of Amida's Power to save. 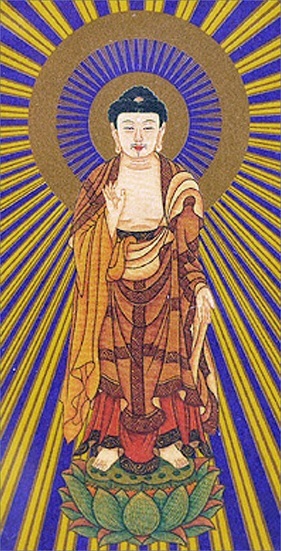 This is the self-power nembutsu (jiriki nembutsu). So, again, for a person of faith, even if he says the Name of Amida with his own lips, he does not regard it as a personal practice or merit. "The ten repetitions of the Name arise from the unsurpassed faith by taking as object the Name of Amida Tathagata of a glorious body of skillful means that comprises immeasurable merits that are true and pure. Suppose a man is hit by a poisoned arrow that has pierced his sinews and broken a bone. If he hears the sound of a drum treated with a special antidote, the arrow will instantly come out and the poison will be removed". 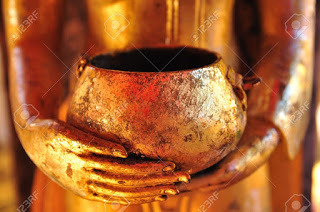 The Name of Amida is like the miraculous antidote which cures all poison. The power to cure is in the Name, not in our capacity to recite it often or seldom, or in the concentrated state of mind that we can develop through our own capacities. Nothing which can be found in our unenlightened personalities can improve the Name and its curing effect. So, again, the saying of the Name (Nembutsu) is not our practice even if we say it with our own lips. We are not the owners of Amida's Name. This must be very well understood. 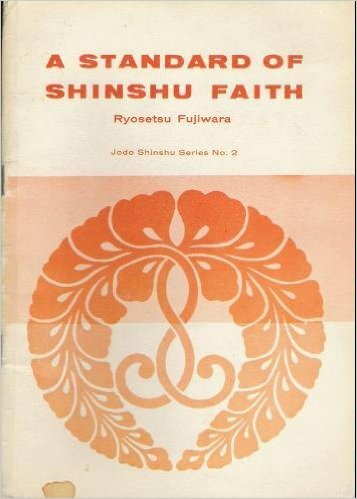 Two questions and answers on "faith and nembutsu are not our creations"
 The three Buddha bodies (aspects) are 1) the Dharmakaya or body (aspect) of ultimate reality, 2) the Sambhogakaya or the transcendental body (aspect) of recompense, and 3) Nirmanakaya or body (aspect) of transformation. 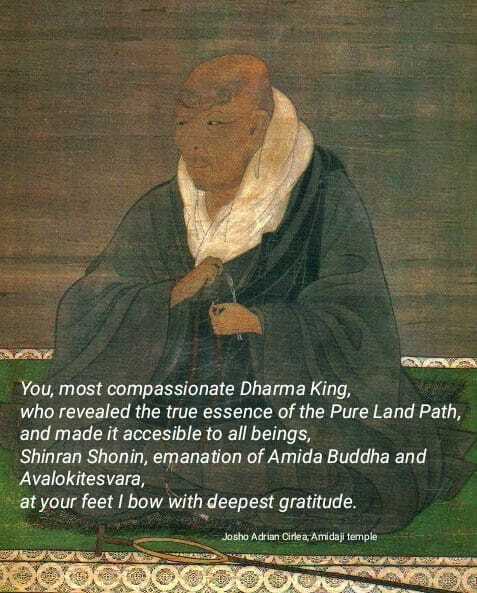 Thus, Amida Buddha is beyond any form in His Dharmakaya aspect, dwells with His transcendent form (Sambhogakaya) in the Pure Land, and in the same time He is here with us, people who have genuine faith in Him, in His various Accomodated and Transformation Bodies (Nirmanakayas). 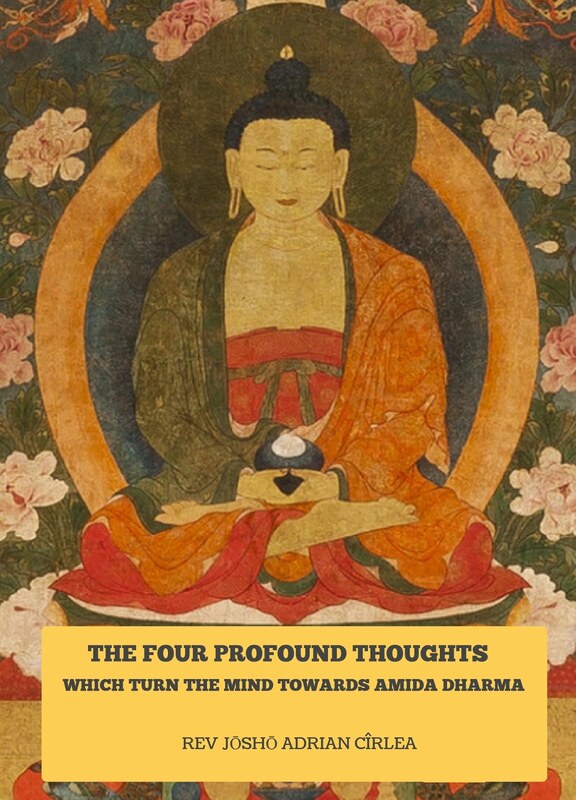 For a detailed explanation of the The Three Bodies of Amida Buddha see page 88 of my book The True Teaching on Amida Buddhaand His Pure Land, Dharma Lion Publications, Craiova, 2015. One or ten, or any number is ok. Here the number ten is used to signify any number.